Marisa Mauro got her first taste of dairy life at age 15. She was introduced to artisan cheesemaking as a farmhand at Woodcock Farm in Weston, VT, and discovered a passion that would set her on a decade-long course working with some of the most renowned cheesemakers in the country. 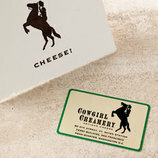 At age 23, she founded Ploughgate Creamery in Vermont’s Northeast Kingdom and began making her own cheese. When a fire destroyed the cheesemaking facility in 2011, Marisa took a break from the dairy industry and didn’t have plans to return until she learned of an opportunity to purchase an historic farm property through the Vermont Land Trust. Her business plan was selected from a group of 13 proposals for the Bragg Farm, and she began making butter there in 2014. 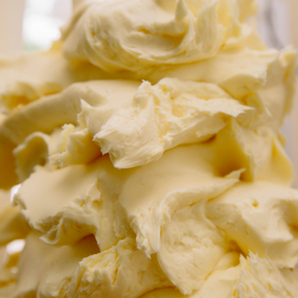 Ploughgate butter is crafted by hand in small batches with fresh Vermont cream. It is cultured, for a sweet and tangy flavor, and laced with coarse sea salt.